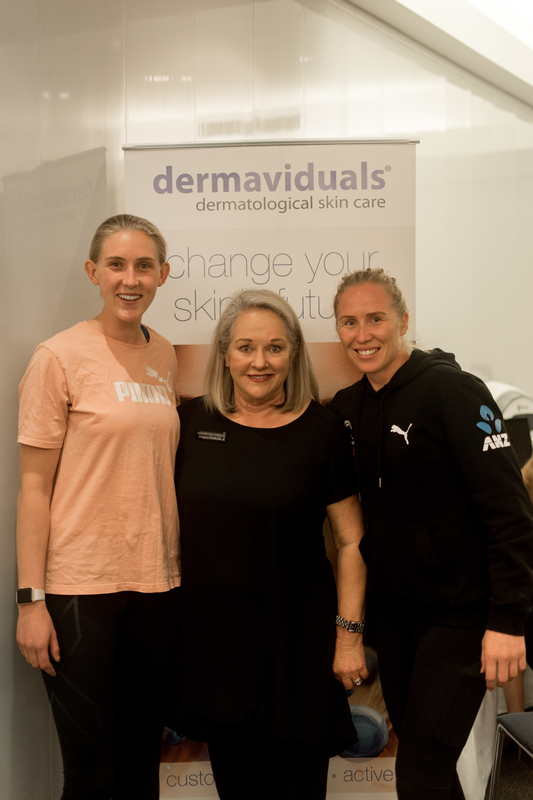 Last week dermaviduals was delighted to host an exclusive Skin Fitness Event for New Zealand’s national netball team, the Silver Ferns. We built this in as part of their summer training camp at The Spencer on Byron Hotel, Takapuna Beach, Auckland – such a gorgeous location! 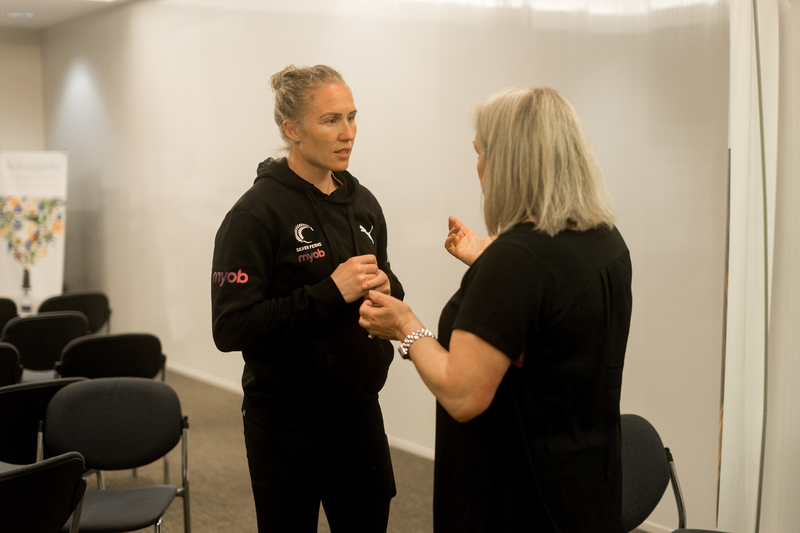 The Silver Ferns proudly represent New Zealand in netball on the world stage and are widely known as fierce competition on a national and international stage. The team is characterised with agility, finesse, determination, speed, integrity and heart. 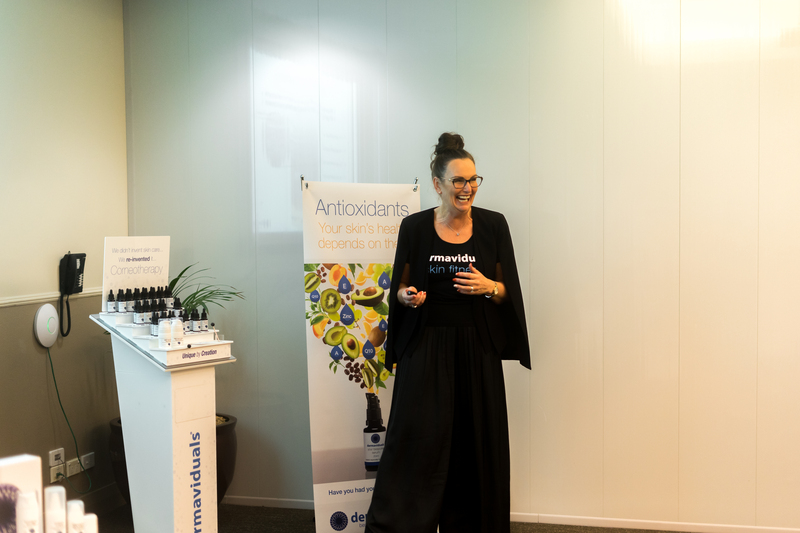 One of our aims as a skincare company is to empower people with knowledge about their skin and how the ingredients & products actually work. 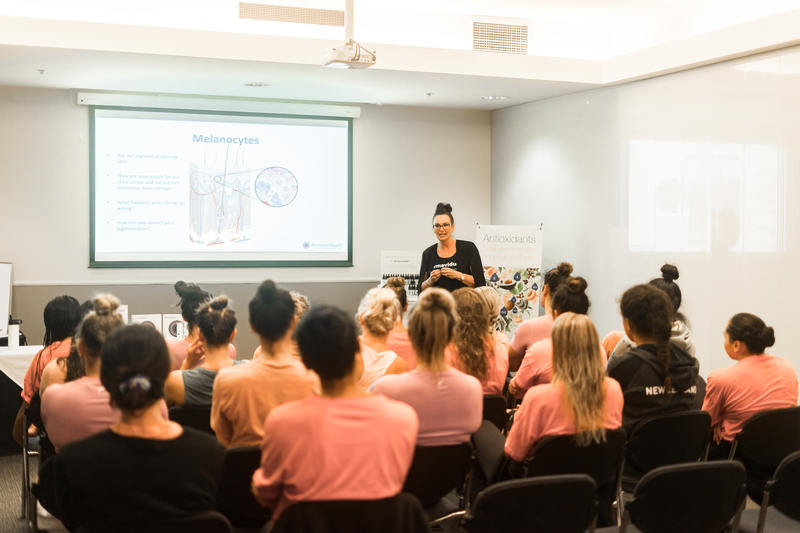 So, the Skin Fitness Event began with a briefing on how the skin works and common skin conditions elite athletes such as the Silver Ferns may experience. The team loved learning about their skin! 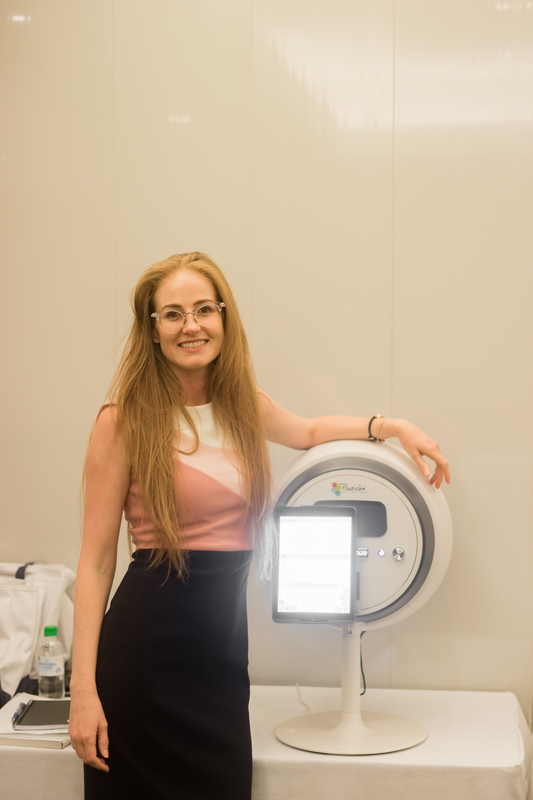 Daylight shows your skin in controlled natural daylight for clinical evaluation. 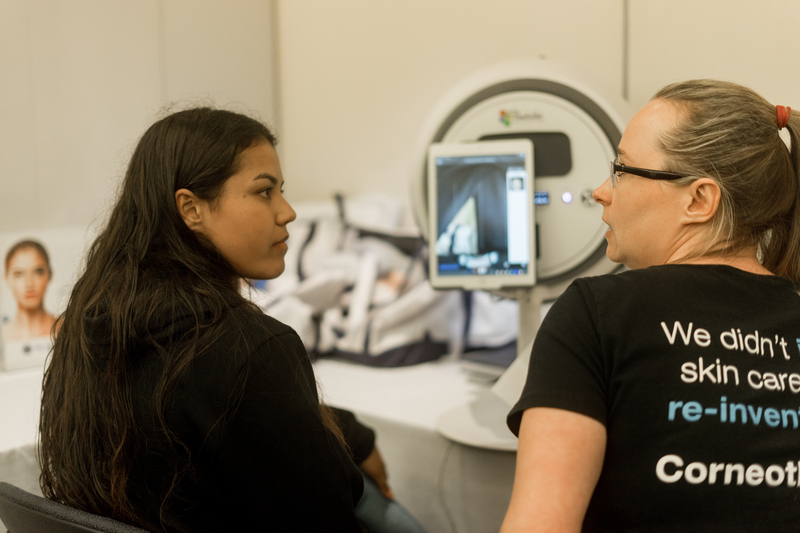 Parallel polarised shows an enhanced view of the surface texture of your skin, so your skin treatment therapist can examine any fine lines, wrinkles and pores in detail. Cross polarised shows your skin in more depth. 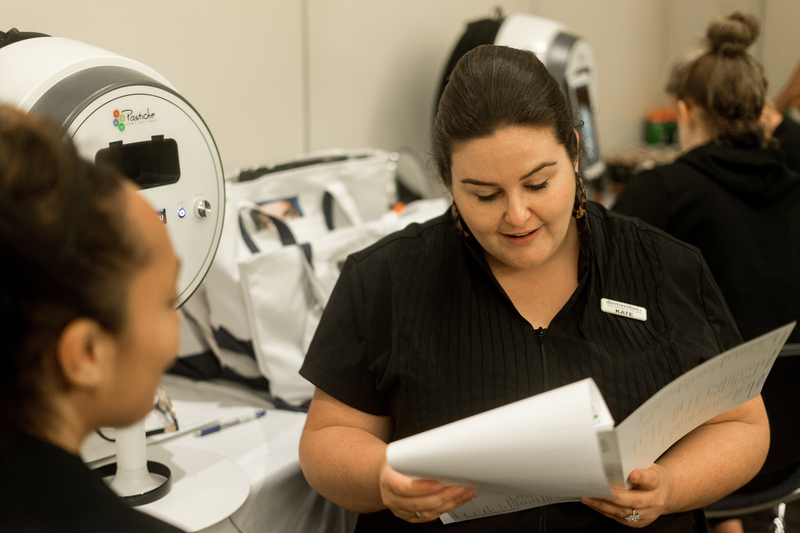 With the skin’s surface shine suppressed, it allows your skin treatment therapist to view many of the dermal structures, vascular conditions, inflammation, and pigmentation residing beneath the outer epidermis. True UV shows any skin abnormalities on the skin’s surface or in deeper layers. It also helps to track the health of your sebaceous secretions. Simulated woods shows your skin’s oil secretion and hydration. 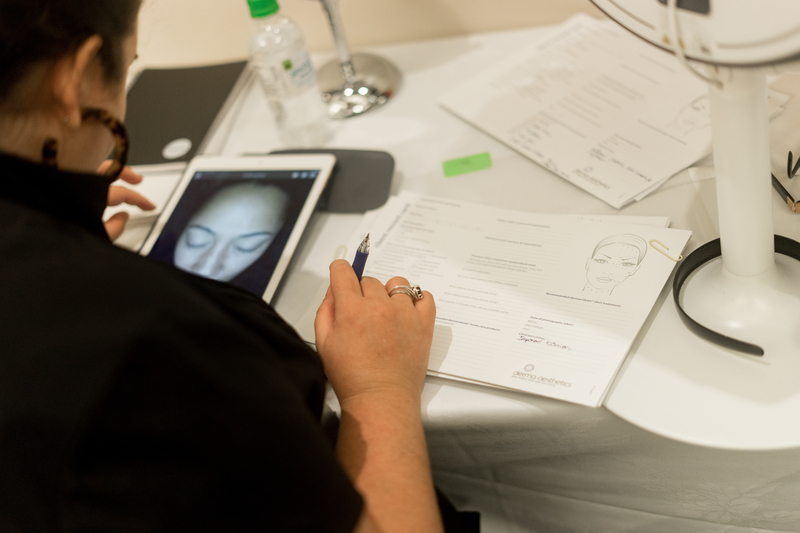 Complexion analysis shows your photo-ageing levels and provides an insight/prediction of how your skin will look if you don’t address current skin issues. By taking this information into account, plus genetic and lifestyle factors, we were able to create a bespoke prescription for each lovely Silver Fern. 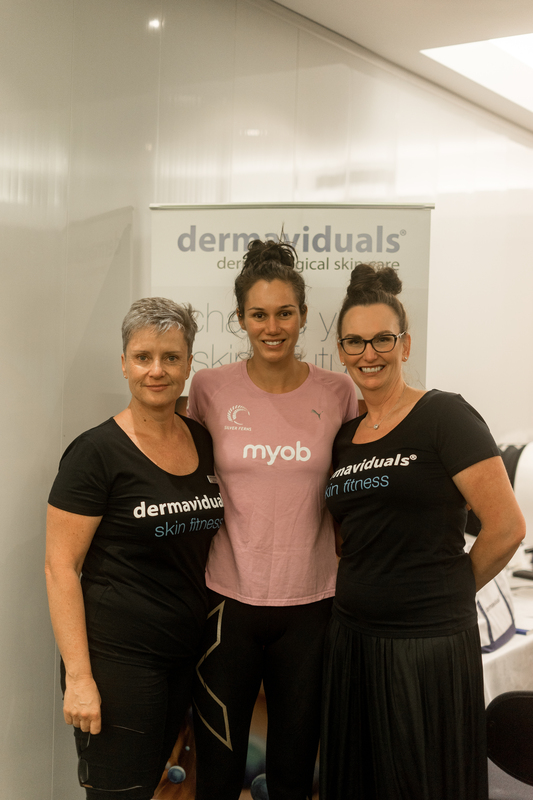 Kate Michelmore says, “The Silver Ferns Skin Fitness Event was all about spoiling their talented team of women and focusing on their skin health! Your skin needs love & attention, just like the rest of your body! 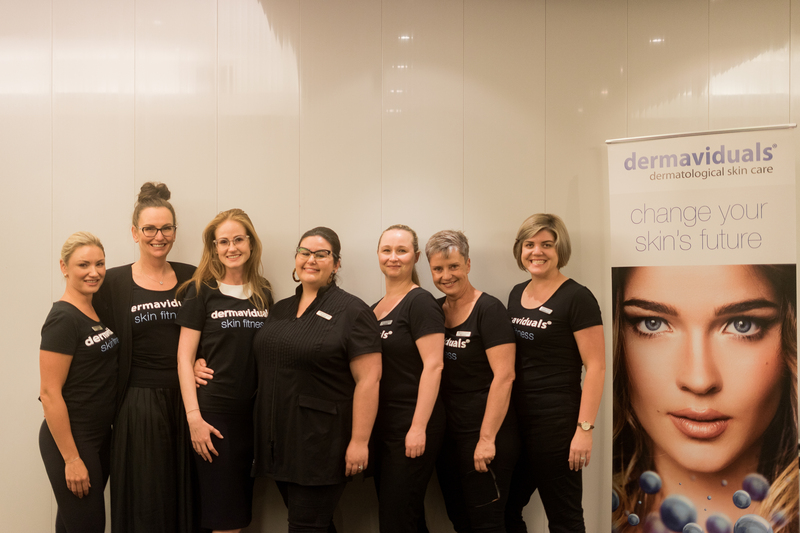 We’re thrilled to be guiding the players on their skin fitness journey and helping them with their skin. 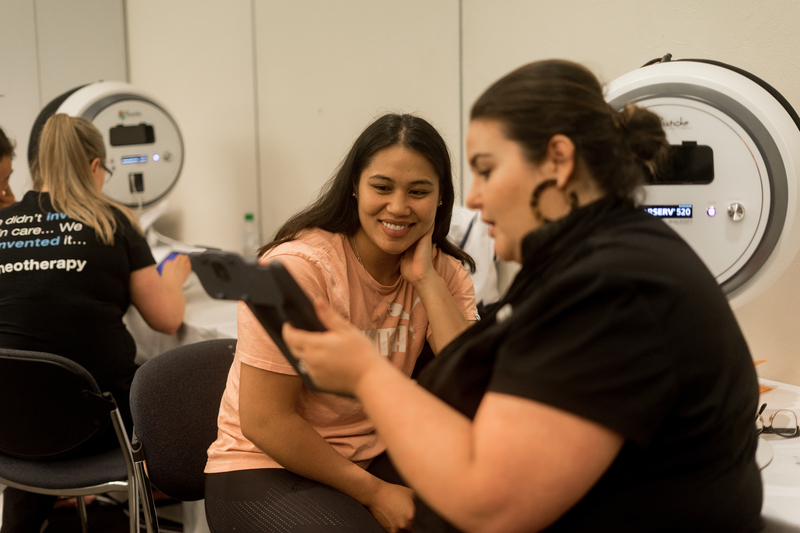 The future starts now!” We are so proud to be supporting the Silver Ferns with the management of their skin health – they are an amazing bunch of women, so humble and wonderful role models for girls everywhere!